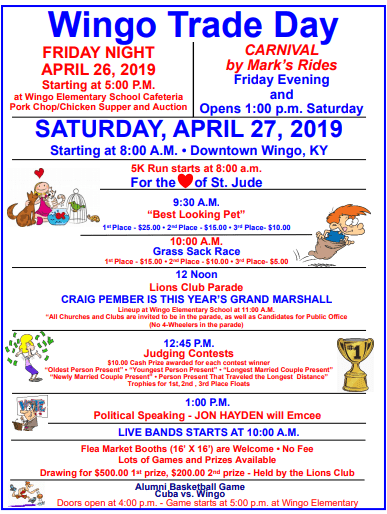 Don’t miss the Friends of the Library Spring Book Sale at the Graves County Public Library at 601 North 17th Street in Mayfield, April 26th and 27th, from 9a.m. to 5p.m. There will be hardbacks, library discards, paperbacks, encyclopedias, puzzles, young children’s books, music, and audiobooks. 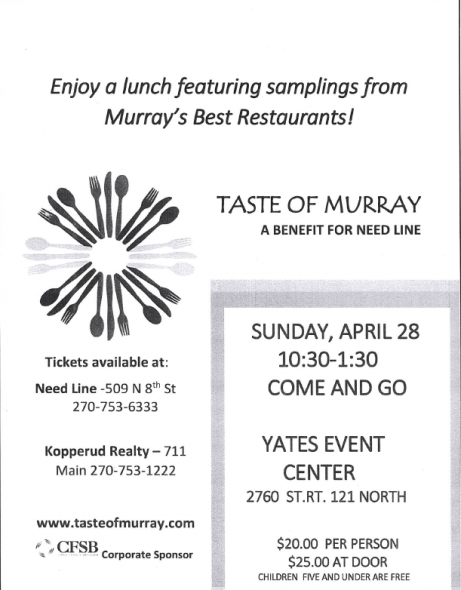 All proceeds will benefit the Graves Country Public Library. Lakeland Event Center in Calvert City will be hosting their first annual “Giving Bowls” event at 11a.m. on April 27th. Local restaurants, organizations, clubs, and churches will provide a variety of food selections. Choose a hand-painted bowl and fill it with the food of your choice. 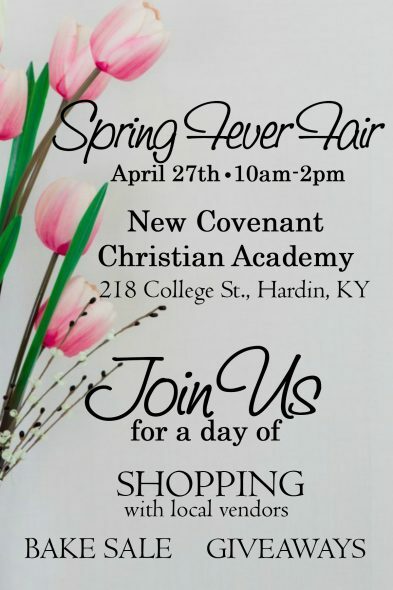 Proceeds will benefit Bags of Hope Ministry, and the Snack Pack Program for MarshallCounty schools. Tickets are $10 in advance, and $15 at the door, and are available at Lakeland Event Center or The Funky Monkey. 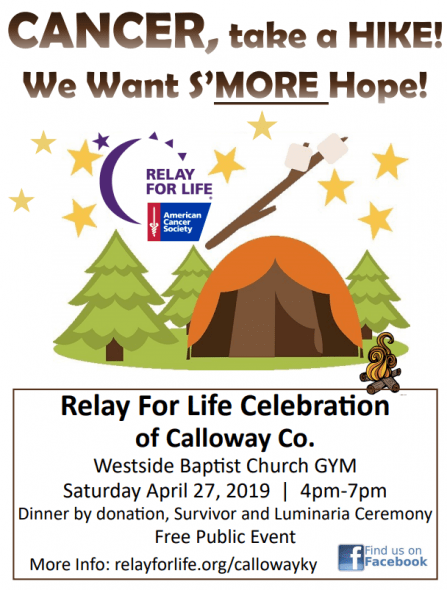 The 2019 Relay for Life Celebration of Calloway County will be held at 4p.m. on April 27th at Westside Baptist Church in Murray. This event is free and open to the public. Come celebrate cancer survivors and remember loved ones that have been lost. Dinner is free. Donations will be accepted. Opening, Survivor, and Luminaria Ceremonies will be part of the evenings program.